From Situationist provocations to McEwans lager adverts, 'Big Gold Dreams' tells the story of how Scottish post-punk sidestepped cultural nationalism to create an independent identity. Glasgow's The Pastels released their debut album, Up for a Bit with The Pastels, in 1987. In 2018, the National Museum of Scotland’s presented Rip It Up: The Story Of Scottish Pop. Unashamedly populist, the project concluded that Scottish pop could be whatever it wants to be. It quite rightly presented multi-racial acts like Young Fathers and Sacred Paws as being as legitimately ‘Scottish’ as Celtic revivalists Capercaillie. This chimes with the SNP’s liberal-pluralist civic nationalism, and its promotion of a modern, outward looking Scotland The Brand. For all that, the primary motivation behind Rip It Up – and the various books, exhibitions, documentaries and reissues that preceded it – was not so much civic nationalism as pop fandom. It’s this spirit that informs Cherry Red’s new 5CD box set, Big Gold Dreams: A Story of Scottish Independent Music 1977-1989. As its cover art – a pastiche Ordnance Survey map – suggests, this is a guide to the highways and byways of Scottish punk, post-punk, New Pop, goth, and indie, stretching well beyond Glasgow, Edinburgh and the Central Belt. The music itself rarely directly engages with questions of national identity. By being from Scotland rather than about it, these artists transformed conceptions of what Scottish music could be. Far from being stifled by what Tom Nairn called the ‘vast tartan monster’ of inferiorist kitsch, labels like Postcard made great play of it, juxtaposing their ‘Sound Of Young Scotland’ slogan with incongruous pictures of tartan clad gentry. There’s a witty reflection of this approach in Big Gold Dreams’ cover painting of grazing Highland stags, which could be read as an ironic reference to Sir Edwin Landseer’s Monarch of the Glen, that icon of aristocratic Scottish romanticism. The box set is a companion, of sorts, to Grant McPhee’s recent documentaries Big Gold Dream and Teenage Superstars. As McPhee writes in his generous foreword, the need for narrative clarity meant the films focussed on key names and labels. The box set can go deeper and wider, complicating the narrative by including oddballs like Ayrshire folk bampots Nyah Fearties, Edinburgh avant-punks Dog Faced Hermans and queer noise rock surrealists Stretchheads. Women are well represented, from familiar names like Altered Images’ Claire Grogan and the Cocteau Twins’ Liz Fraser, to undervalued figures like Hilary Morrison (co-founder of Edinburgh label Fast Product and singer of Flowers) and Edinburgh indie force Margarita Vasquez-Ponte. There are also several important queer voices, such as The Associates’ Billy Mackenzie and Cindytalk’s Gordon Sharp. While there are inevitable omissions, it’s the kind of collection that can send you down YouTube wormholes and on financially ruinous record collecting sprees. The first two discs cover the years 1977 to 1980, kicking off with The Rezillos’ glorious ‘Can’t Stand My Baby’. With their B-movie costumes and Warholian stage-names (Fay Fife – as in ‘fae Fife’), the Edinburgh group’s outlandish art pop music was manna to punk-hungry kids. As early as 1977 we see the numerous directions in which punk was moving, from the sweaty-palmed boogie of Drive’s ‘Jerkin’, to the brilliantly unlikely science-fiction thug rock of The Valves ‘Robot Love’. By 1979, punk orthodoxy was out the window. The harder hitting rockers like Fire Exit’s ‘Time Wall’ and The Freeze’s ‘Paranoia’ are wonderfully skew-whiff, while Visitors’ synth-driven ‘Electric Heat’ and Simple Minds’ grandiose ‘Chelsea Girl’ offer two very different takes on art-rock. Scottish post-punk took a different form to the more dub and jazz influenced scenes in London and Bristol. As the collector Michael Train notes, ‘there was no crazy experimental scene like the one that existed in Australia. Or the industrial scene that you had in England. It just did not exist.’ Robert Rental and Thomas Leer, he notes, only started making electronic music after they relocated to London. But without making a fetish of limited musicianship and lo-fi production, there’s something beautifully off about the DIY singles of Scottish post-punk groups. As with The Fall and Joy Division, there’s an urge to move beyond the 4/4 thrash of punk by rethinking the role of the rhythm section. The bass is often the lead instrument, leading the drums rather than following them, while the guitars are reduced to trebly chords and spindly anti-riffs. Combine that with playful, melodic song-writing, and you have the blueprint for the particular style that would dominate Scottish indie. 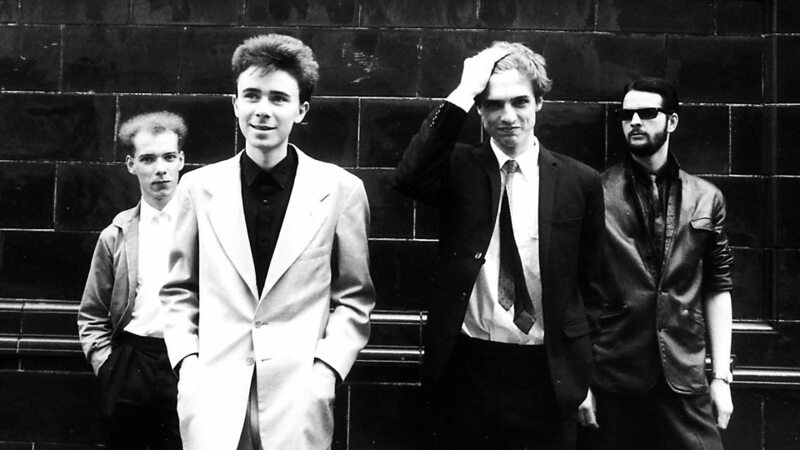 Edinburgh post-punk band Josef K were named after the protagonist of Franz Kafka’s novel The Trial. As the name suggests, Edinburgh’s Josef K were a darker proposition than their West Coast peers, fusing disco with the nervier sounds of Television. It’s tempting to think of the great ‘Sorry For Laughing’ as a response to the harmolodic funk of Ornette Coleman’s Prime Time, as Paul Haig croons over scratchy guitars and a disjointed groove where the bass seems to move independently of the drums. Big Gold Dreams teems with the groups who followed in their wake: Scars, Article 58, Restricted Code, and the Fire Engines, whose great 1982 single lends this box set its name. The phrase hints at these groups’ pop ambitions. Orange Juice signed to a major label, while the Fire Engines morphed into Win, whose ‘You’ve Got The Power’ soundtracked a McEwan’s lager advert. With the exception of Orange Juice’s classic ‘Rip It Up’, these attempts at New Pop entryism weren’t entirely successful. Of course, some of their peers did make it, albeit briefly, and Big Gold Dreams boasts gorgeous early singles from the likes of Aztec Camera and Strawberry Switchblade. The commercial elephant in the room is Simple Minds, who expanded their Europhile art-rock to stadium proportions, losing much of their charm in the process. Their love of Berlin-era Bowie, Kraftwerk and Conny Plank was shared by many of the acts here, manifesting itself in the tense minimalism of Edinburgh teenagers The Prats’ ‘De Todten Reyten Schnell’ and the gleaming bleakness of The Associates’ ‘Tell Me Easter’s On Friday’. There’s also an interesting line in Francophilia, from The Delmontes’ proto-Stereolab ‘Tous Les Soirs’ to the French Impressionists’ sophistipop and Momus’s curdled chanson; but these would not be the things for which Scottish indie would become famous. 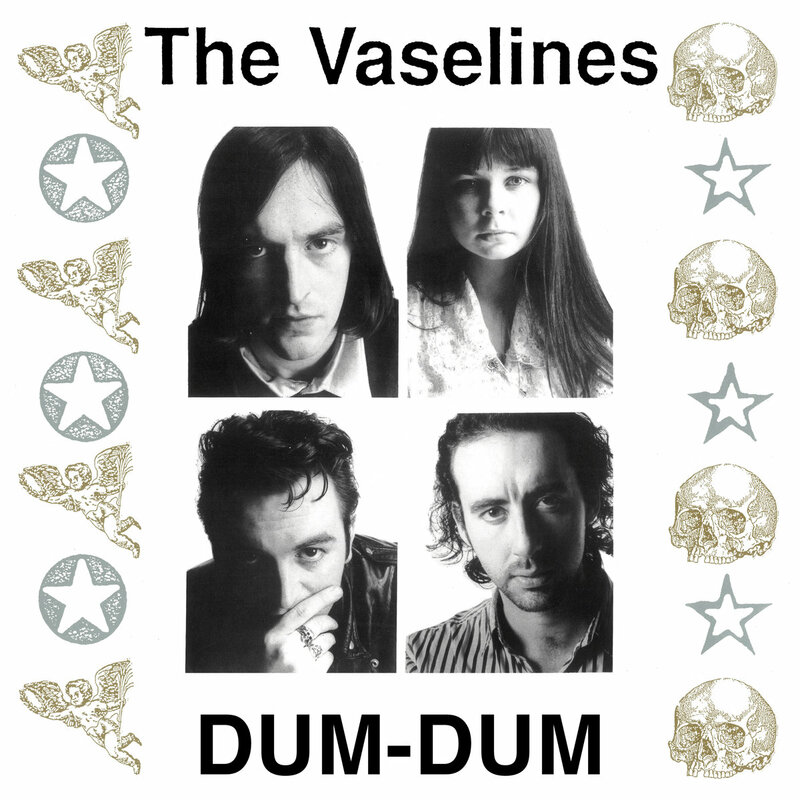 Alternative rock band The Vaselines released their album Dum-Dum in 1989. 1983-85 is a transitional period, as the broad umbrella of independent music codifies into the genre of indie. Goth, however, was a major sub-cultural presence in 1980s Scotland. Before their pop success, Claire Grogan’s Altered Images enjoyed the patronage of Siouxsie & The Banshees, producing the bubblegum graveyard smash ‘Dead Pop Stars’. Cocteau Twins’s ‘Feathers Oar Blades’, from 1982 is extraordinary, with its serrated riffs and icy wash of reverb anticipating black metal. Liz Fraser is not as forward in the mix as on later releases, but when she lets rip on the chorus glaciers turn to mist. Scotland played a major role in defining the indie-pop or ‘shambling’ sound associated with the NME’s C86 compilation. This has often been criticised as a retreat from the futurism and hybridity of post-punk and New Pop, as bands took on a wilfully amateur, non-commercial sound, and eschewed black pop influences for an emphasis on garage rock and psychedelia. There’s some truth in that. 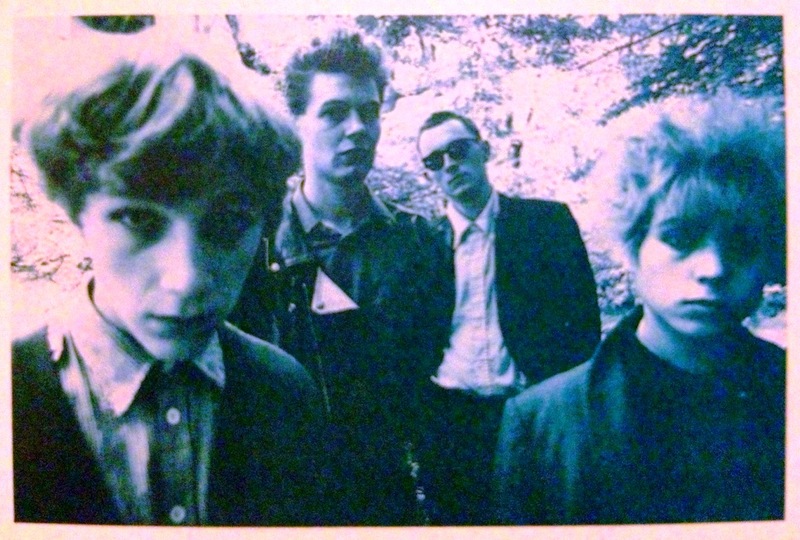 There is some piffle here, but the best acts achieve a blissed out psychedelia, in the dreamy fuzz pop of Shop Assistants, Fizzbombs and Meat Whiplash, and administered at a much higher dose in the The Pastels’ ‘Baby Honey’, a masterpiece of hypnotic drone-rock eroticism, and The Jesus & Mary Chain’s feedback streaked ‘Upside Down’. Then there’s The Vaselines’ ‘Teenage Superstars’, a glorious send up/celebration of adolescent rock ‘n roll posturing (‘when my mum complains about my hair, I say, hey mum, I don’t care!’) set to squalling guitars and motorik drums. We’re a long way from the cutesy indie-pop aesthetic. While no one would mistake the artists on Big Gold Dreams for Tories, there is little in the way of explicit political content. Curiously, it was mainstream Scottish acts like Deacon Blue, The Proclaimers and Wet Wet Wet who tackled issues like de-industrialisation, language and class in their songs, leaving their indie peers open to accusations of solipsism and twee escapism. But there’s more than one way of being political. It’s worth noting the involvement of independent artists in, for example, Rock Against Racism and the anti-Poll Tax movement. In terms of gender politics, the emergence of all-female and mixed gender bands was a significant step forward, inspiring Riot Grrrl and its UK equivalent, the Huggy Nation. At its best, Scottish DIY and independent music has been an example of cultural democracy in action, giving space to new voices, and enabling grassroots artistic communities. Labels like Postcard, Fast Product and 53rd & 3rd paved the way both for professional outfits like Chemikal Underground and Rock Action, and labours of love like Night School and GLARC. Today’s scene is much broader than indie guitar music, with Cucina Povera, Still House Plants, Heather Leigh and Richard Youngs among the artists conjuring strange magic from their Glasgow lairs. Such artists operate under more precarious circumstances than their 1980s predecessors did. Big Gold Dreams is testament to the worlds of possibility opened up by punk’s DIY spirit, but it also underlines the necessity of social and cultural policies that give people the time and space to dream. 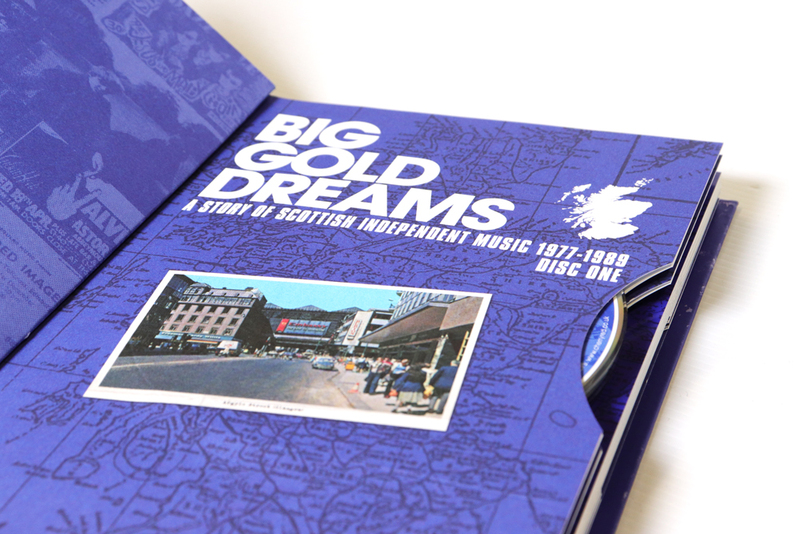 Big Gold Dreams: A Story Of Scottish Independent Music 1977-1989 is available from Cherry Red Records. Stewart Smith is a music writer and academic based in Glasgow. He is a regular contributor the The Wire, and a member of the Communal Leisure collective.